For unsurpassed quality and style, this amazing dog lead will not disappoint you. Features 5 leather flowers, hand-painted edges, and Swarovski Stones that are sure to dazzle you. Each stone is secured with a back rivet in their center. 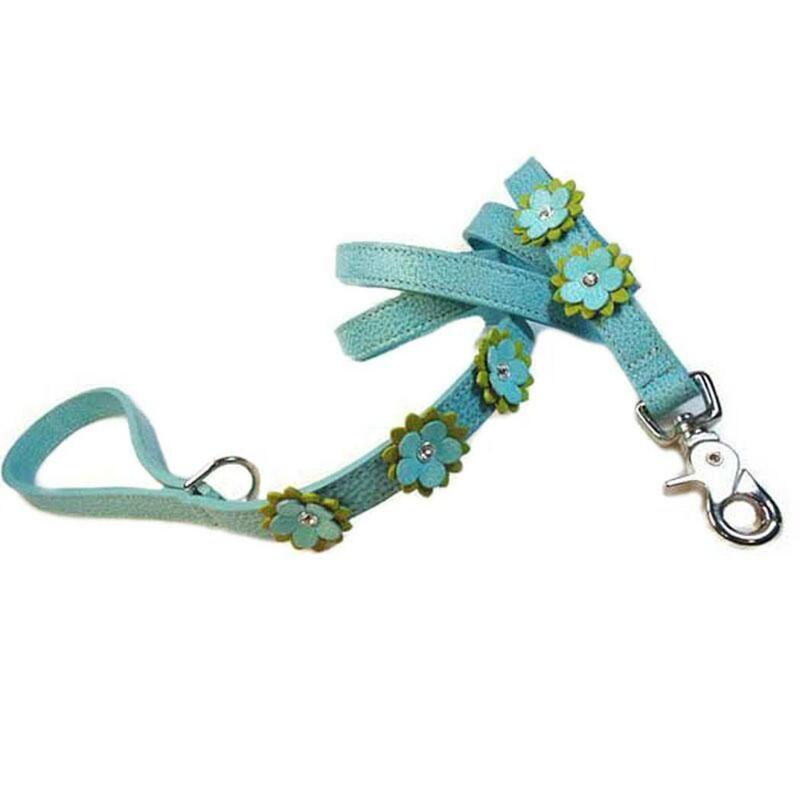 Please pick the color of your leash, the top flower, the bottom flower, and the stone for this custom designer dog leash.